The history of New Zealand dates back at least 700 years to when it was discovered and settled by Polynesians, who developed a distinct Māori culture centered on kinship links and land. The first European explorer to sight New Zealand was Abel Janszoon Tasman on the 13th December, 1642. Captain James Cook, who reached New Zealand in October 1769 on the first of his three voyages, was the first European explorer to circumnavigate and map New Zealand. Birds and lizards are the only indigenous animals to the islands. 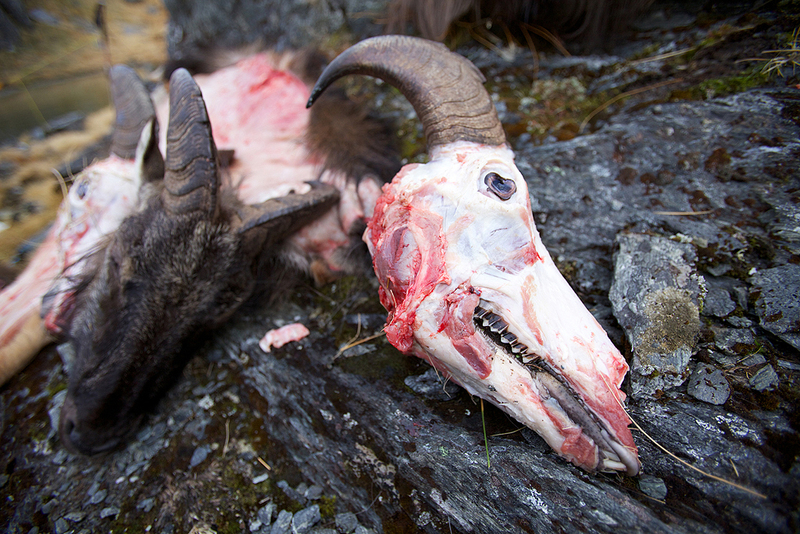 There has since been the introduction of Spanish Goats, Merino Sheep, Cotton Tail Rabbits and Hares, Red-Deer, Elk, Moose, Himalayan Tahr and Chamois. There are no predators on the islands. Hunting is the only form of wildlife management and if quota goals are not met the government will cull the herds to meet objectives. Because of this the government does not require hunting licenses or tags, there are no bag limits or hunting seasons. 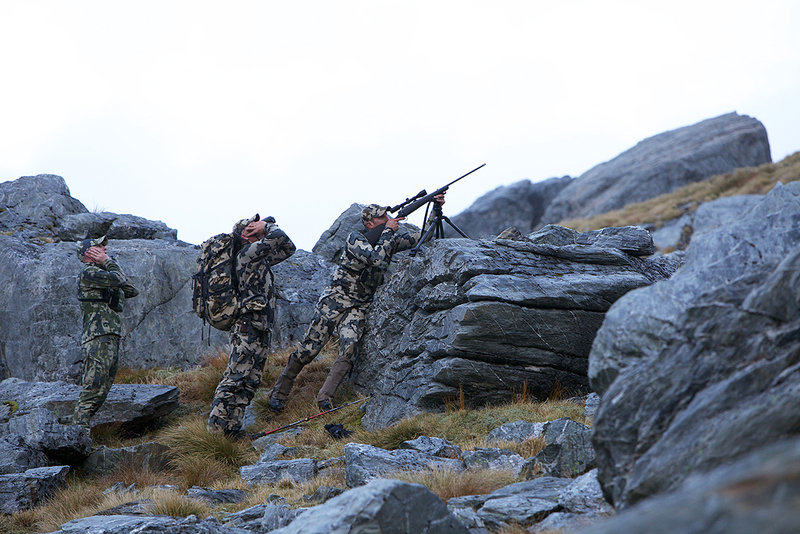 With such a diverse range of habitat and perfect climate, game management through hunting is essential. It was a clear crisp morning. Absolutely breathtaking. The peaks were covered in fresh snow with clouds spilling over the tops and down into the canyons below making it a magical start of the day. We spent the morning glassing and hunting our way over to the mountain where Brendan shot his bull the evening before to look for a couple of big bulls we saw just before dark. We closed the distance down to 300 yards and I set up for a steep up hill shot. I put my rifle over two Icon packs and lay in the prone position to get a steady rest. 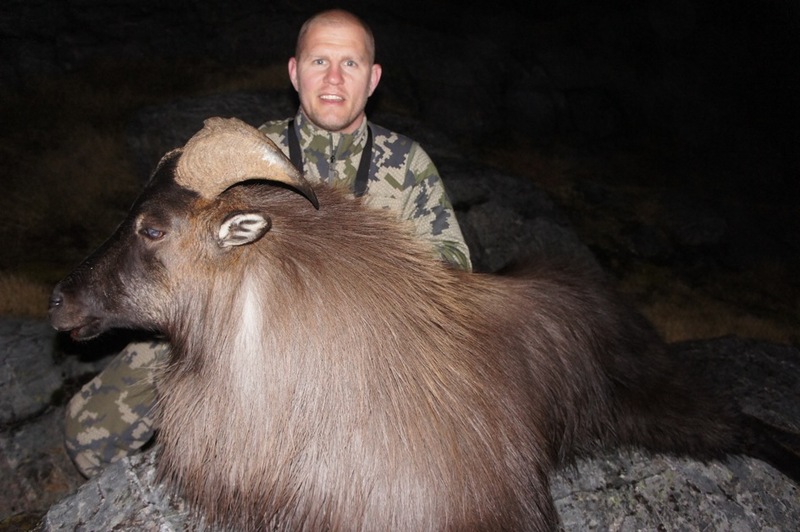 Shaun and Bruce told us how durable a large bull Tahr is and how well they can take a bullet and this bull took the first bullet without much more than a slight jump and headed straight up the mountain. It was starting to get dark and I was having a very hard time finding him against the dark rock in my scope for an anchoring shot. 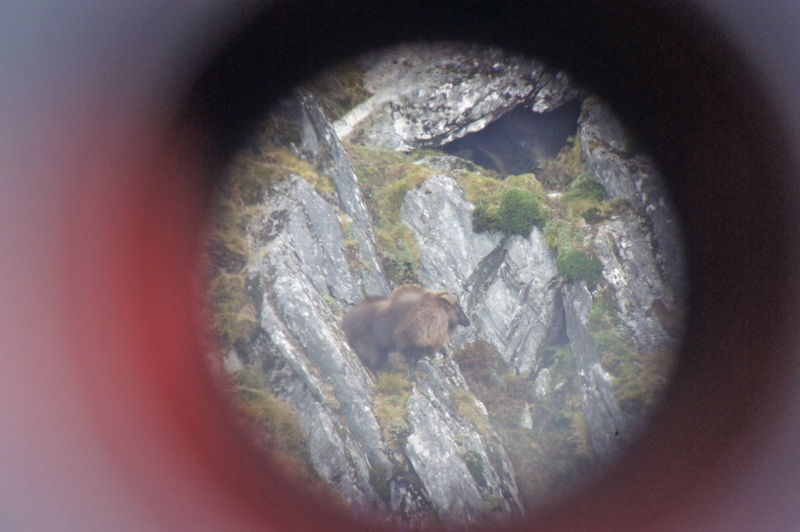 He finally appeared on the skyline at 350 yards at a very steep angle. It was now or never. The gun went off and the bull was gone. The shot felt great but it was impossible to tell for sure what happened. Bruce took off straight up the mountain to find the bull. Shaun and I followed because no one can keep up with Bruce. The bull was down right where I shot him! Thee feet beyond where he dropped was a 2000 foot cliff face. This bull was special, 8 ½ years old and over 12 ½ inches in length with a lot of weight and a huge body and incredible coat. It was an amazing trophy. I was thrilled! As we are setting up the Bull for photos we heard a shot from down below. Brendan had spotted two bulls and made a stalk shooting a big fluffer at only 25 Yards! Brendan’s bull was another mature 71/2 year old over 12 inches in length with great mass. An old warrior. 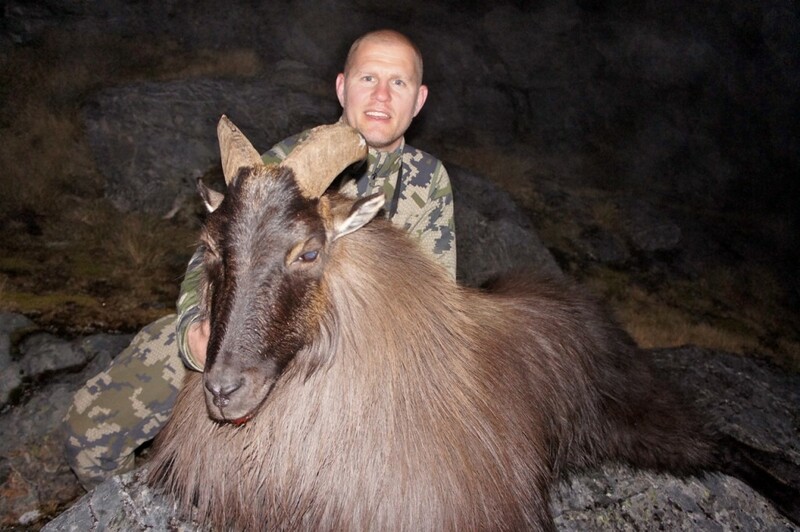 What an end to our Tahr hunt. We rolled into camp late and tired but with big smiles on our faces. What a day! Shaun and Brendan caped, turned ears and lips. We broke down camp and packed up heavy loads and climbed up and over the mountain to our pick up location. Over Flat-Whites and Meat Pies we came up with a plan for Chamois. Shaun had a canyon he has hunted in the past that has produced some great bucks. Shaun made arrangements to get flown in the next day. Notice Shaun drives on the wrong side of his truck and road. We spent the night at the Ox-Bow Lodge where we washed clothes, refueled on gourmet food and got a good night sleep. Great photos as usual and superb trophies! I appreciate the comment Nigel! Ha Ha! Good idea, I am always testing a new proto or two on every hunt. Leaving us hanging! Great story. Put the rest up soon! Will do, more to come. Patterns do so well there. Amazing photos. Thanks Josh! They were amazing in that country. Thanks Clay. Good luck this September, please email us your photos. Love the photos. Keep it coming! Thanks Craig. More to come. :-). Flat whites. That brings back memories. Greats hunts. Making me want to go back. 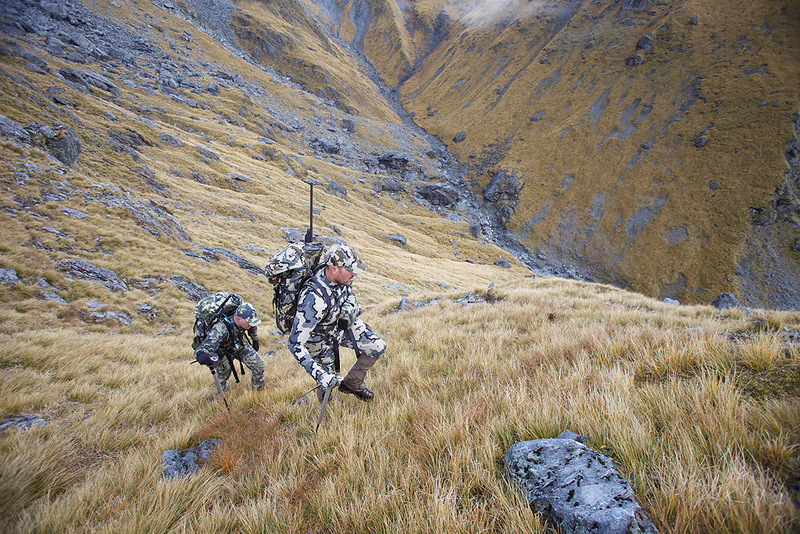 NZ is an great place to hunt. I agree. Thanks for another great update Jason! 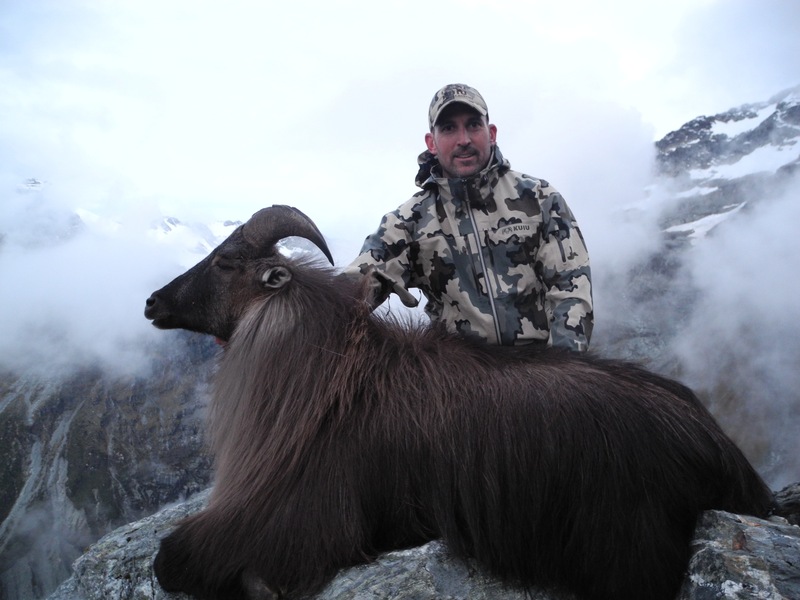 I love the look of tahr and those alps look like they would make for an amazing hunt. Excellent photography makes these posts all the better. Finally got to read this. It’s awesome! The photos are amazing and really make the story that much better. Just got back from NZ myself. 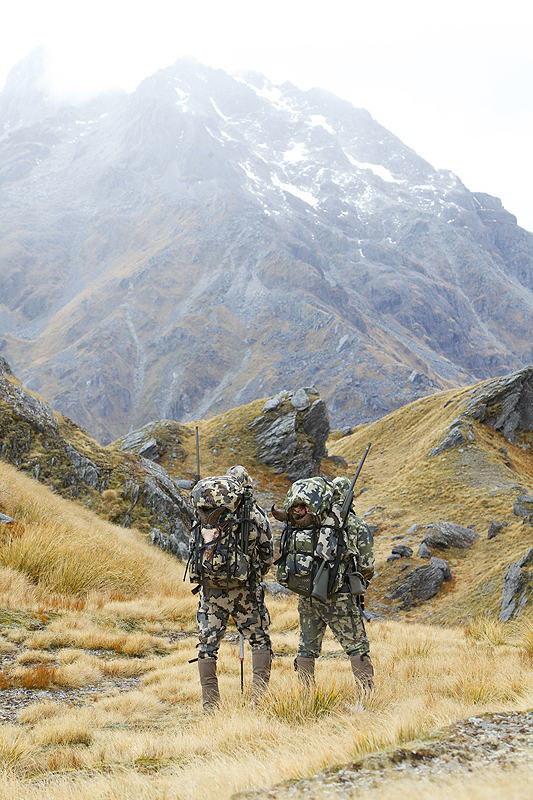 What an amazing place to hunt. 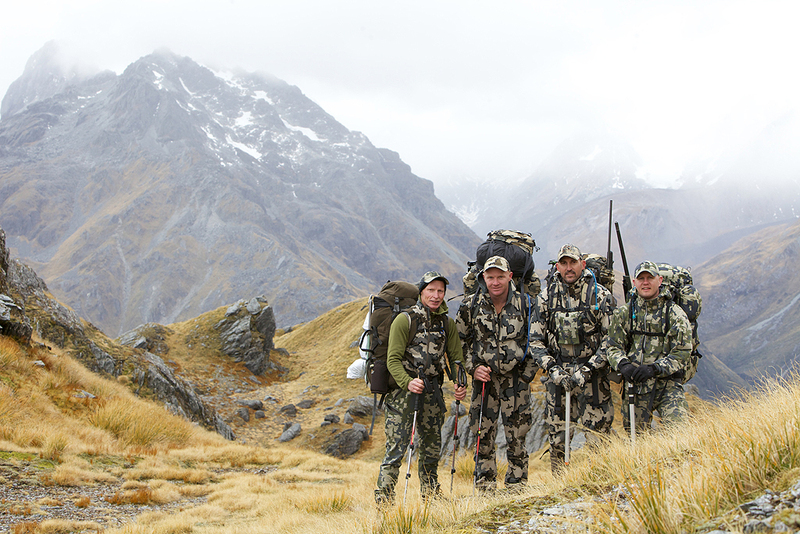 I hunted with Wilderness Quest NZ.,I can not say enough about them. 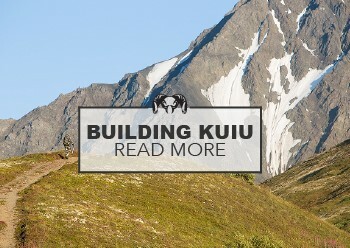 My guide uses KUIU says its the best he has found. 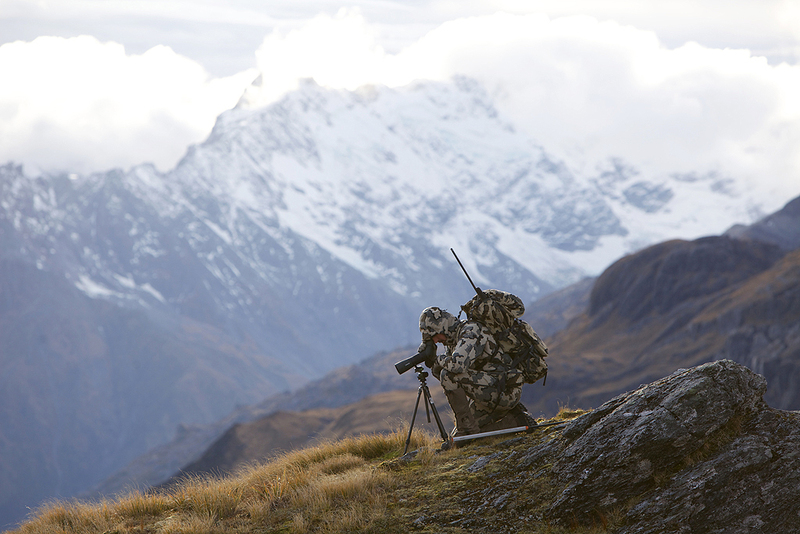 NZ just officially made my list of future hunts. Awesome pics, I look forward to reading and looking at the pics from all your hunts. Great to see all the new gear too. 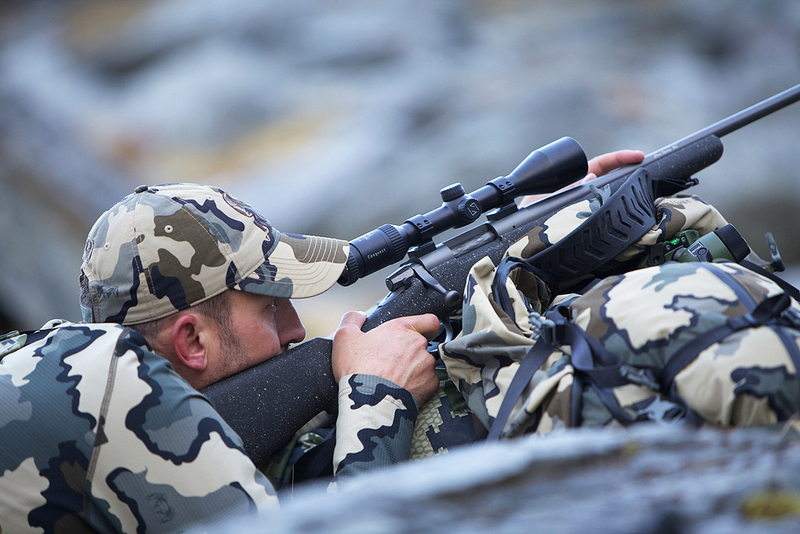 Excited to use all my new KUIU gear this fall in WY. 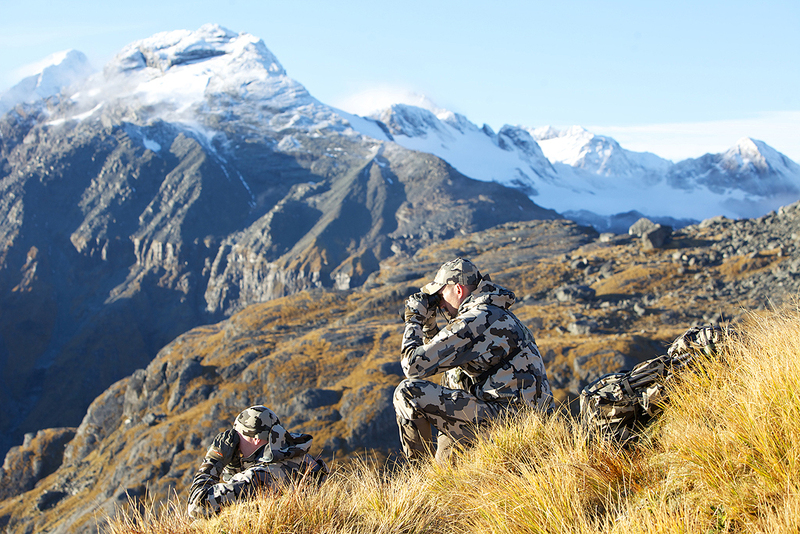 Waiting patiently for the rest of the NZ hunt posts. 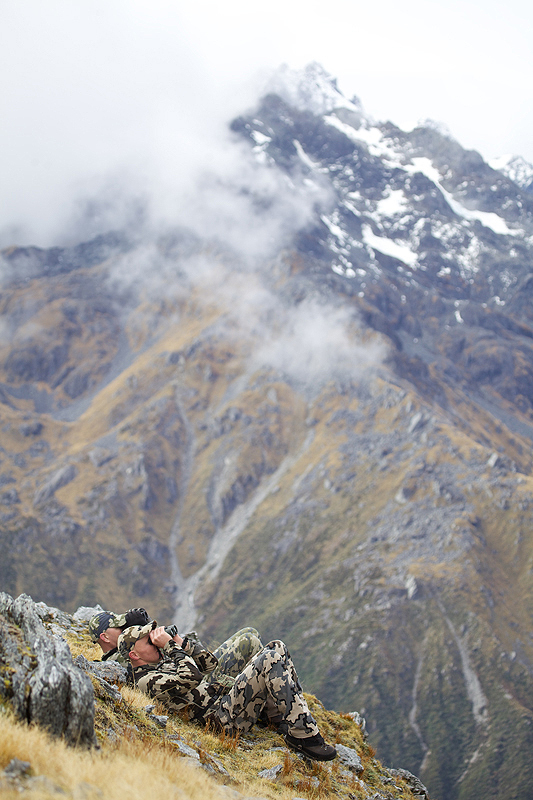 When you go, I would strongly recommend Shaun and Exclusive Adventures New Zealand. I was really impressed with his attention to details and how he runs his business. 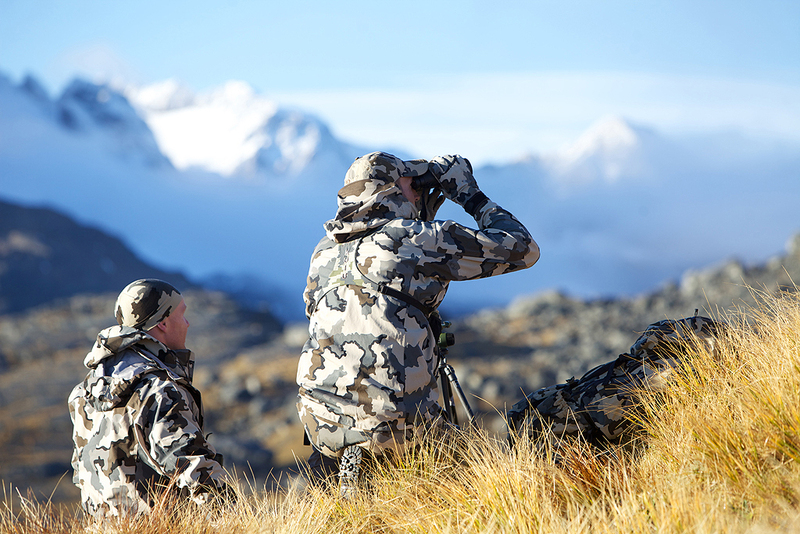 The hunting opportunities there will blow your mind! Super photos! Looking forward to getting my DCS Guide Jacket for my bow hunt for elk late this August. What clothes do you bring on trips? Would like to know more about your RnD thoughts while in field. WIll you come out with any tall size and those that fit tall portly guys? Great scenery. The Lakes district is a great part of NZ. 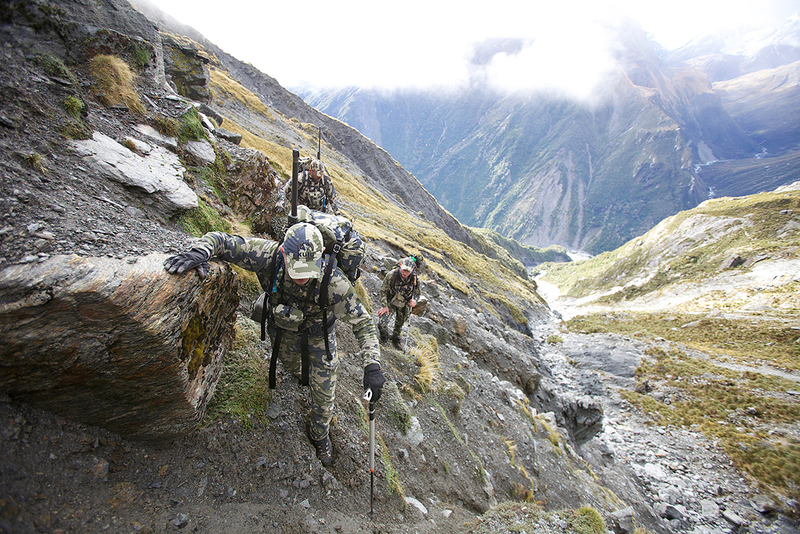 I am thinking of getting some of your gear for NZ backcountry trout fishing. 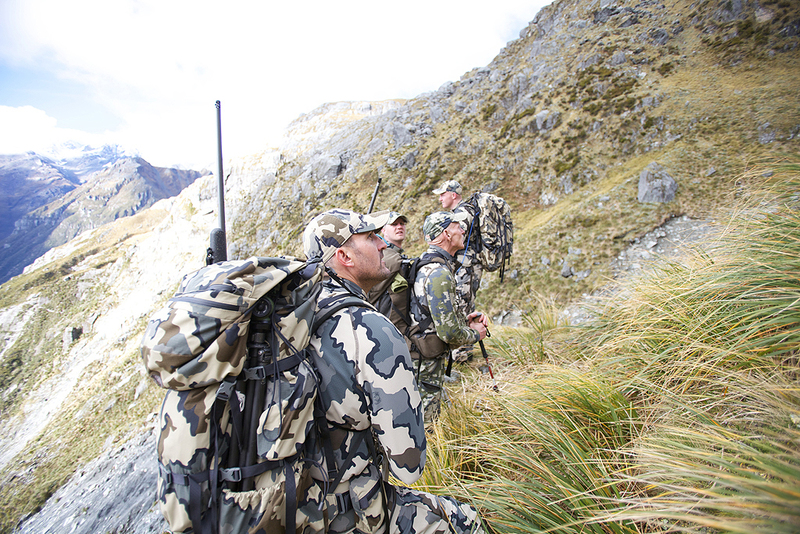 Both camo patterns look impressive above the NZ tree line. Did your you or your guides form an opinion on which pattern was better below the tree line. I am thinking verde is probably a better choice. Did you get to hunt red deer and did your hunt offer many opportunities for a bow hunter or was the terrain too severe. Verde works better in the lower elevations to the human eye because we can see green. Both look very similar at distance. Thank you for the story. 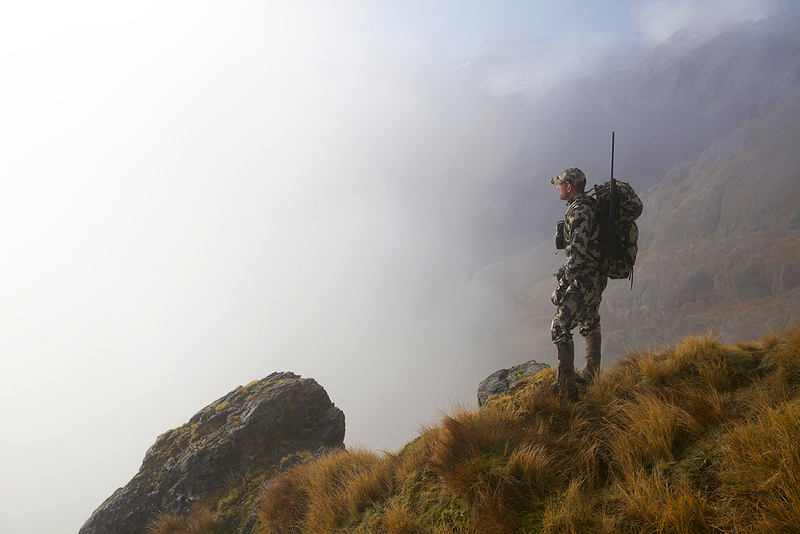 I was lucky enough to grow up hunting in New Zealand and very proud to see it written about and look so beautiful. Enjoy a steak and cheese and some burger rings for me! Jason, I hope your photographer is a percentage partner!!!!! Everyone of these pics is worth a 1000 words and who knows how many dollars in sales. Pure genius. Thx for sharing the adventure. Beautiful animals!!! Wow, the photos are awesome, what a scene. 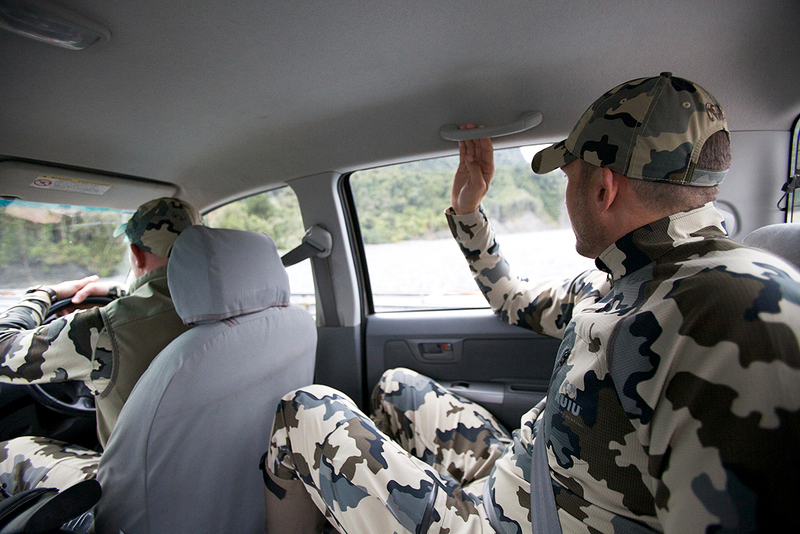 And Kuiu camo, what a fit; you guys would be invisible if you did not move. I keep thinking you as the Kuiu troopers! Keep it up Jason. 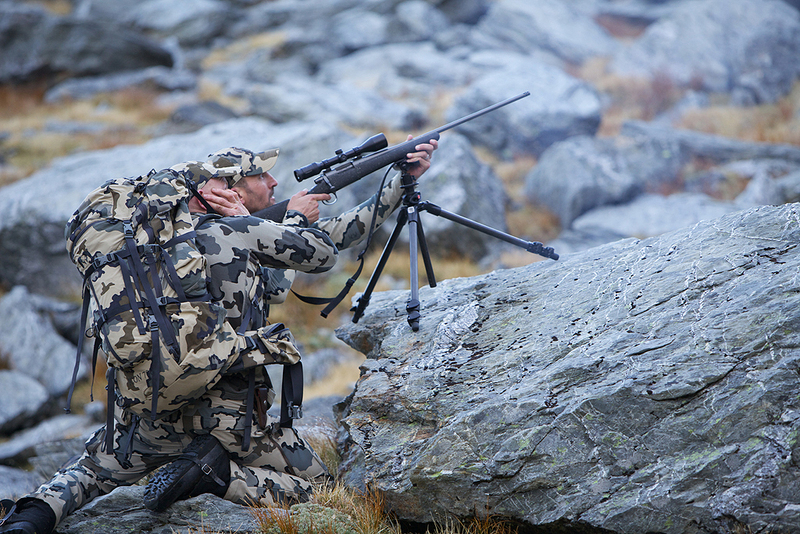 You mentioned that the New Zealand government does not limit hunting through licensing, seasons or limits, but I was wondering if there are any stringent gun regulations a foreigner might need to address, before planning a trip to the area? An island with every geographical land form on the planet, full of beautiful game animals that are free to hunt any day of the year, just sounds too good to be true. 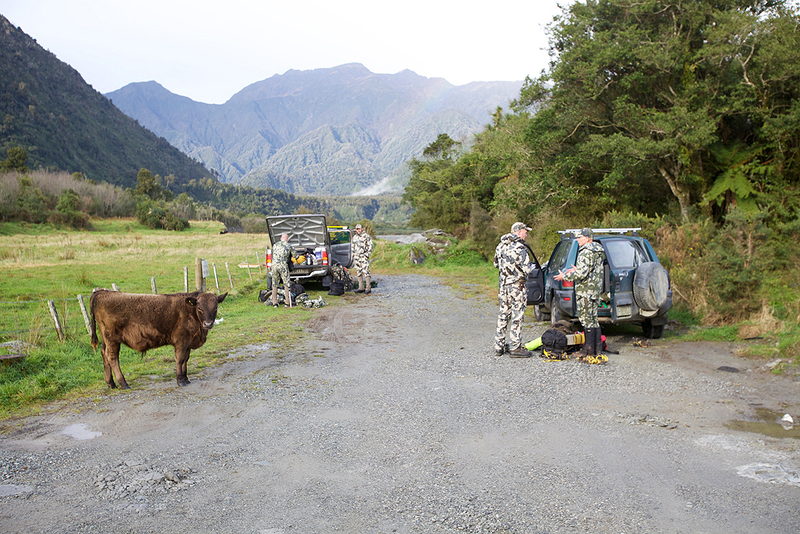 I have always dreamed of visiting New Zealand, but never realized it might be this easy to turn into the hunting trip of a lifetime. Any advice on where to get good planning information on a hunt almost identical to yours? 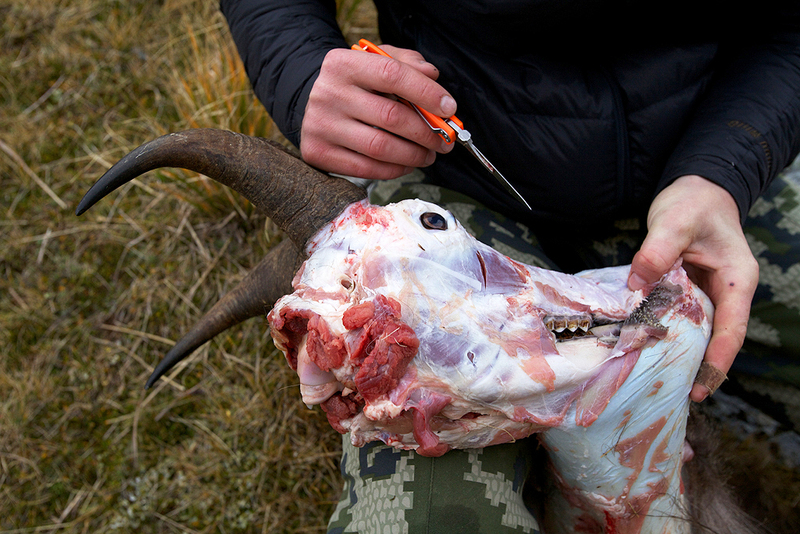 By the way, I am a die hard Kuiu gear head. Nobody makes gear that even compares to yours. 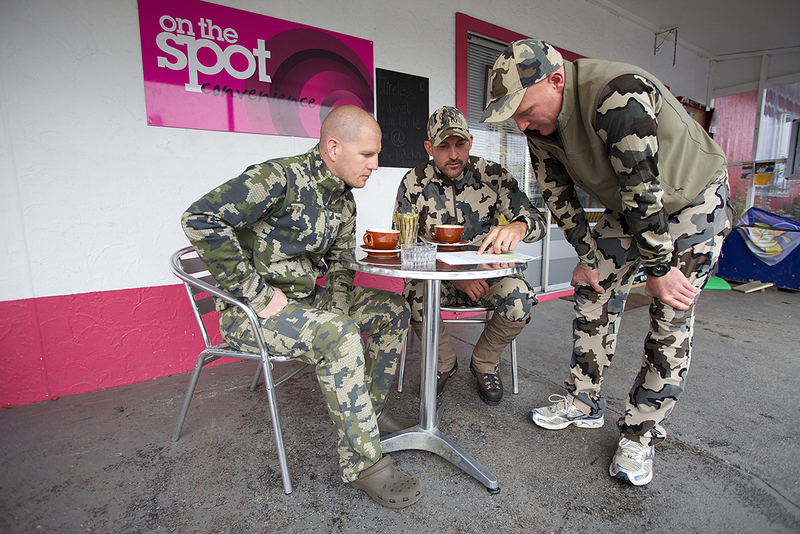 Sitka lost a lot of money the first time I tried on a piece of Kuiu gear. A few larger pant sizes would be my only request (42 & 44″ waist). Heck, I’d pay serious money to have a pair of 44s custom-made in the Tiburon, Guide and Attack pants. No gun restrictions or hassles when I went on the trip. Shaun Alison with Exclusive Adventures set everything up for us. 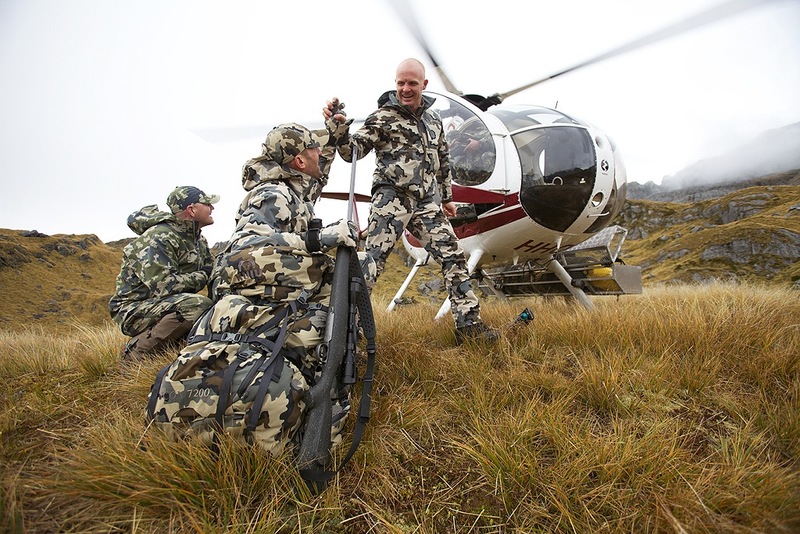 It is an amazing trip and something everyone who hunts should do in their lifetime.